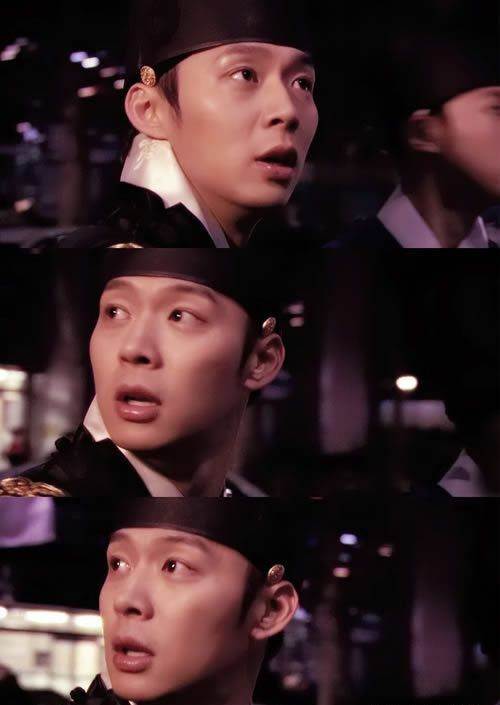 Advance notice for the counterattack of the Joseon Dynasty crown prince Park Yoochun who is reduced to person who is unable to adapt to reality. Park Yoochun is playing the role of Joseon Dynasty crown prince Lee Gak and modern times Yong Tae Yong in SBS drama Rooftop Prince. In the premiere episode that was aired on March 21st, 2012, Lee Gak personally goes after the killer who murdered crown prince Hwa Young (Jung Yoo Mi) together with assistant Song Man Bo (Lee Min Ho), Woo Yong Sul (Jung Suk Won) and Do Chi San (Choi Woo Sik), but are unexpectedly been chased by assassins. During the process, they travel through time to come to the rooftop house of Park Ha in modern times. The 3rd episode of Rooftop Prince which hinted on the counterattack of Park Yoochun broadcasts on March 28th, 2012.